Suburban Condominiums. Development of a 79-unit mid-rise condominium community that required special development district approval and wetlands mitigation, and achieved a density of 20 units/acre in an established neighborhood. Redevelopment. Design development and permitting of a 90-unit mid-rise condominium building involving the partial demolition of an existing hotel, that was sold pre-construction with approvals in place. Mixed-Use Site Development. Site development of a 45-acre mixed-use waterfront site currently developed with a 100,000 s.f. Class A office building and a regional magnet middle school. Distressed Mall Acquisition. Acquisition of a 500,000 s.f. distressed retail mall involving negotiation of discounted debt acquisition from national lender and complex operating agreement with former project owner. Office Building Acquisition and Leasing. Acquisition, with a partner, of a 200,000 s.f. architecturally significant office building and adjacent development parcels in state capitol CBD, and negotiation of full building lease with state government. Office Condominium Conversion. 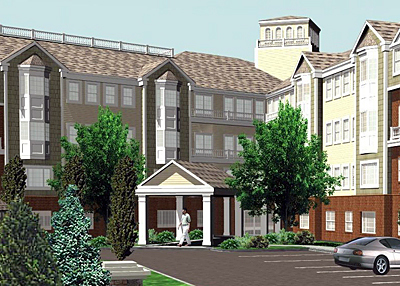 Acquisition of a mixed-use project with 100,000 s.f. of Class A office space and 10,000 s.f. of retail space and negotiation of commercial condominium agreement with major private university. Historic Reuse. Design development of hotel, office and retail project combining high-rise new construction with adaptive reuse of historic buildings, and successful renovation and leasing of existing historic buildings. Consulting. Evaluation of underperforming multi-family project and preparation of detailed report with specific recommendations to increase revenues and enhance value.